Where notebook computers are concerned, is there such a thing as too thin? Rumored for next year, Apple's slenderest Mac to date may wind up slimming down so much, a traditional USB port might wind up being too chubby to fit. 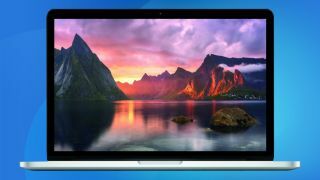 Jack March (via 9to5Mac) offered new details on what Apple might have in store for mobile warriors with next year's MacBook Air refresh. This follows last week's rumor the ultra-thin notebook might adopt the familiar color scheme found on iOS devices. Expected in mid-2015, the 12-inch MacBook Air is described as featuring "a noticeably thinner design" that may have forced Apple to abandon the traditional USB port in favor of the forthcoming reversible USB Type-C connector. Unfortunately, such a plan would likely require the use of an adapter (which Apple may or may not include in the box) to connect existing USB peripherals, but the benefits would seem to outweigh any potential downsides. Coincidentally, one of the uses for the new USB Type-C connector will be using it to jack into DisplayPort-compatible monitors, which the Video Electronics Standards Association confirmed in a press release, detailing how DisplayPort Alternate Mode promises to make life easier for all. Speaking of ports, the report also ominously suggests Apple could be looking beyond the current MagSafe charging solution beloved by MacBook owners, opting for "a different way" yet to be detailed. Internally, the 12-inch MacBook Air is rumored to operate without a ventilation fan of any kind, presumably yet another sacrifice being made to slim down the chassis, while also keeping it quieter than ever. Last but not least, the MacBook Air is said to be on track for a Retina Display with a "noticeably thinner" bezel along the lines of the MacBook Pro with Retina display, as well as a speaker placed "above the keyboard and visible," rather than on the sides. Check out our review of the current 13-inch MacBook Air!